Imagine making more than one quilt at a time while watching your stash dwindle. Sounds too good to be true, but it’s not. Join Bonnie K. Hunter as she shows you how to get your scraps organized into usable sizes – and save money, fabric, thread and time. 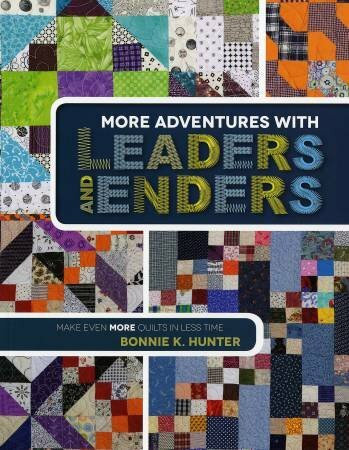 In this, the long-awaited sequel to Adventures with Leaders and Enders, find 12 more scrap quilts that can be pieced in between the lines of other sewing. Each is sure to inspire you to dig into your stash and start piecing.